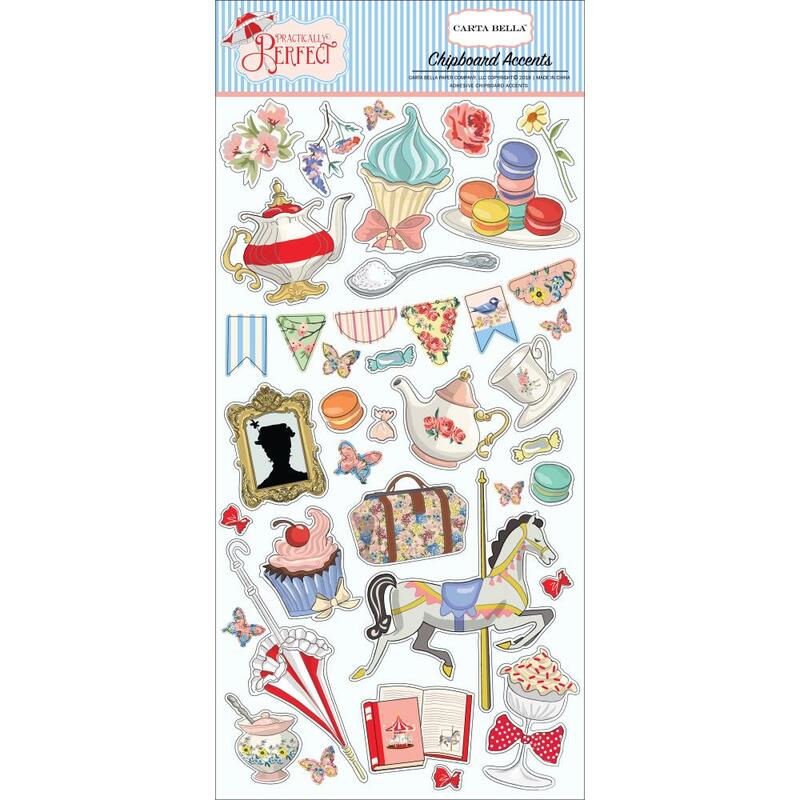 This 6" x 12" ChipBoard has assorted Icon Shapes to accent & embellish your Craft Projects. Look for coordinating Decorative Brads and Designer Papers. Part of the Practically Perfect Collection by Carta Bella Paper Company.